​It promised to be a titanic battle. Two of the leading number nine's in world football going head to head, both smack bang in the middle of a purple patch. Mauro Icardi had six goals in his previous four games, Luis Suarez six in his last three. A veritable Battle of the B*stards. Both are, after all, well known for their contrasting sh*thousery - Icardi, the Nerazzurri Ultra-baiter, and Luis Suarez, the ultra biter - and very much cut from the cut-throat cloth of the South American streets. There was also a football game going on, one in which Barcelona were largely dominant over their Milanese opposition. Thus, for the opening 86 minutes or so, it was the Uruguayan that was the far more prominent in the proceedings, attempting five take-ons, nine shots and 34 passes, 23 of which were in the attacking third. The key word here is attempt, and it pretty much sums up ​Suarez's night. He attempted a lot of stuff, but none of it really came off. Take those admirable five take-ons of defenders - none of them were successful. Not one. Of those nine shots, only one was on target. The rest were tantalisingly scuffed or impatiently skewed. Of course, being Suarez, he never gave up. There were countless emotive gesticulations to the sky, or verbal thrashings of a teammate - usually Ousmane Dembele - or remunerations with the referee, but as soon as the ball was in his vicinity, the sulking was replaced with determination. His passing was a bit more successful - 24 of them hitting their man, with 15 of 23 in the final third completed. This lead to his match leading total of four chances created, which was only matched (surprisingly, given his performance was largely maligned) by Dembele. In contrast, the Argentine - six years (and 16 club trophies) inferior to the ​Barça player - was almost non-existent. Sure, he pressed decently enough, certainly fulfilling his role in the 116.3km his side ran - 6.7km more than their opponents. But his 12 successful passes were the lowest of any starter on the pitch, and centre backs Stefan de Vrij and Milan Skriniar completed the same amount of passes in the attacking third as him, with two - Clement Lenglet had three. He created zero chances for his side, and had the same stat for take-ons, and only went two better in terms of shots. In essence, he was largely irrelevant. Fortunately, 50% of those shots were on target. And that one shot was enough to steal a draw for his side, and win the Battle of the Strikeforce B*stards. That allusion to the famous Game of Thrones episode wasn't accidental. The parallels were there for all to see. In his role as Ramsay Bolton, Suarez had all the advantages - better teammates, more of the ball, more opportunities. But he couldn't make use of it. 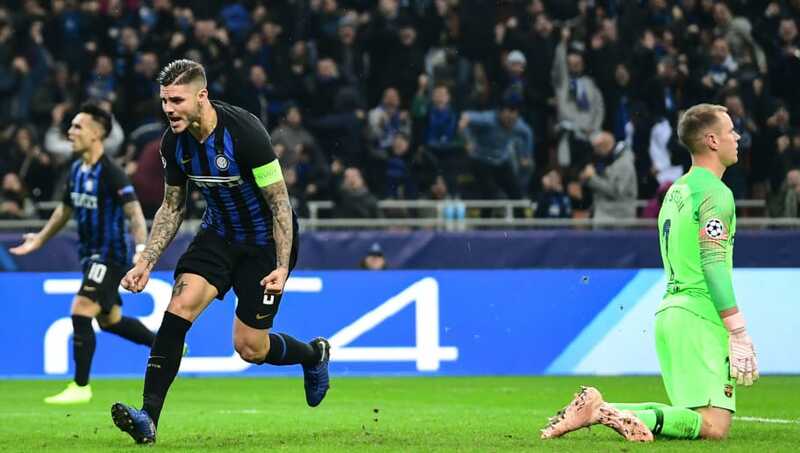 Meanwhile, ​Icardi, in his role as the only man who could save ​Inter from defeat *Jon Snow Klaxon*, did so by capitalising on the one real opportunity he had. Thankfully, he was aided by some resilient rearguard warriors, who sapped up the majority of Barcelona's attacks - his very own giants. ​Icardi punished Suarez's profligacy with consummate composure, finding himself, as all good strikers do, in the right place at the right time to power it through ter Stegen's legs and into the net. In terms of touches, he would still end the encounter among the lowest of the low. But in terms of influence, he quelled an upstaging up and coming Brazilian, outshone his Uruguayan rival and silenced his sidelined Argentinian compatriot in the stands. That's all in a night's work, for the best number nine in the world.